NASA’s Journey to Mars is underway. Already, the first steps are being taken – rovers and orbiters are studying the habitability of the Red Planet, astronauts aboard the International Space Station are studying the effects of long-duration stays in space, and the new Orion crew vehicle successfully has completed a test flight 15 times higher than the space station’s orbit. Now, Kennedy Space Center in Florida is transforming into a next-generation spaceport, the world’s most powerful rocket – Space Launch System – is undergoing manufacture and testing, and other advanced new systems are in development. 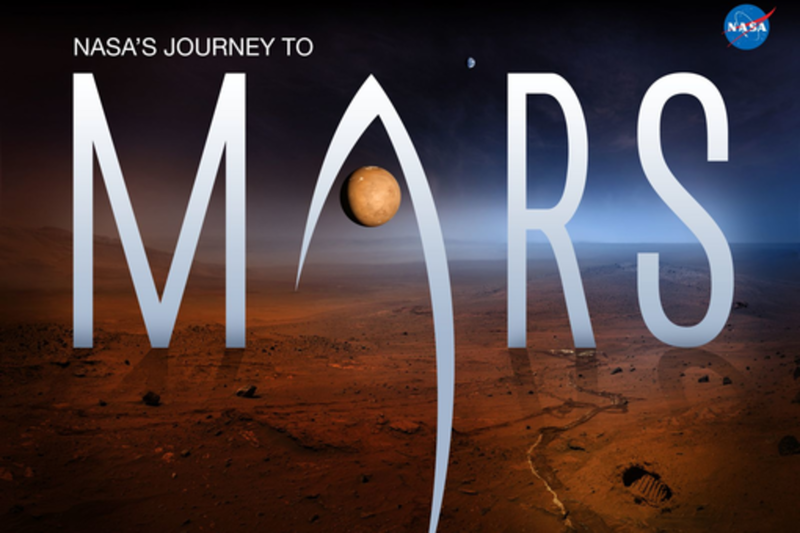 Beginning very soon, increasingly ambitious missions will lead to the first steps on Mars. Chris Crumbly manages the Space Launch System (SLS) Program’s Spacecraft/Payload Integration and Evolution Office, located at NASA’s Marshall Space Flight Center in Huntsville, Alabama. In this capacity, he is responsible for managing the development of spacecraft and payload interfaces for SLS and technical innovations that will increase the performance and decrease the cost of America’s next-generation heavy-lift rocket for human and scientific exploration beyond Earth’s orbit. Previously, Mr. Crumbly was the Director of the Michoud Assembly Facility in New Orleans, where the Space Launch System’s core stage and the Orion spacecraft are being manufactured. In addition to serving in management positions at Marshall, he also served as Special Assistant to NASA’s Deputy Administrator. His private-industry experience includes Senior Program Manager for Ball Aerospace and Vice President for NASA Programs at Quadrus Corporation. Mr. Crumbly holds both bachelor and masters degrees in aerospace engineering from Auburn University and is a graduate of the Program for Management Development at the Harvard Business School. He speaks on the space program frequently with audiences ranging from TEDx to school groups and professional societies. He is a member of the American Institute of Aeronautics and Astronautics. As the Mission Planning and Analysis lead for the Vehicle Integration Office, Nujoud is responsible for the sequence of mission events and ensuring Orion's power and thermal systems performance will meet mission needs. Victor is a member of the 2013 Astronaut Class and works in Exploration on the Ground Systems for the Space Launch System and Orion spacecraft. He has flown over 40 aircraft accumulating over 2000 flight hours, 400 carrier landings, and 24 combat missions. My name is Yves Lamothe, and I am the lead systems engineer for the Ground Systems Development and Operations (GSDO) Program here at Kennedy Space Center playing a lead role in transforming the Florida center in a next-generation spaceport capable of supporting a variety of rockets.